This is a shout-out to all Seattle connoisseurs whose tastebuds are adventurous for the finest food and drink that the great Pacific Northwest has to offer! 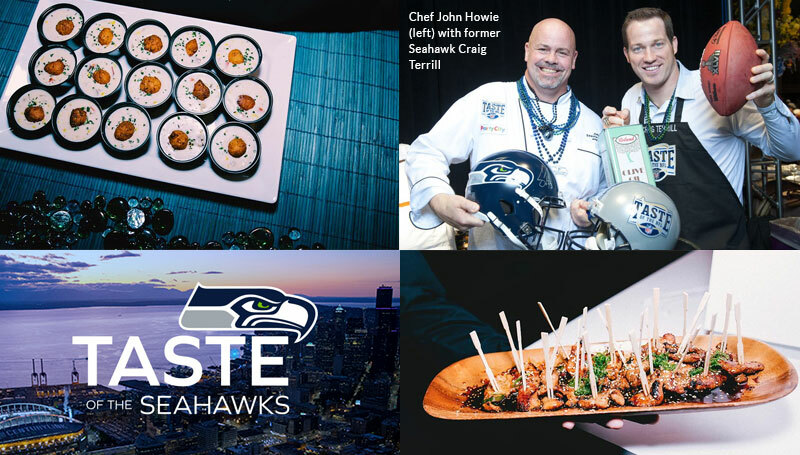 The Annual Taste Of The Seahawks Event is taking place on November 6, 2018, at the Century Link Field. And it’s going to be a smorgasbord of food and fun laid out by the very best of Seattle’s restaurants, wineries, breweries and distilleries who’re all coming together to support two worthy, non-profit causes under the aegis of Seahawks, the NFL team we’re endlessly proud to call our own. Like last year’s event, this time too the occasion will be set up like a strolling experience – where an array of fine bites will be served with a variety of beverages for you to nibble and taste as you mingle with Seattle’s sports celebrities and other notable stalwarts who will also be in attendances to give the occasion an exciting, red-carpet ambience. Plus, there will be live music and a variety of other programs to keep you engaged and entertained throughout the evening. Taste Of The Seahawks is part of Taste Of The NFL’s Kick Hunger Challenge campaign — a friendly fundraising competition between all 32 NFL teams to raise money for food banks nationwide. • Ben’s Fund (FEAT Of Washington), an organization that provides financial assistance to families across Washington State with services specifically related to autism spectrum disorder treatments. • Food Lifeline, a charity that has been working for 39 years to end hunger in Washington state — a cause that has always been extremely close to Chef John Howie’s heart. Presenting Sponsor of the Kick Hunger Challenge is Microsoft. Platinum Sponsor of the Taste Of The Seahawks event is Safeway, with Silver Sponsorship coming from AG Consulting Partners and Brotherton Cadillac. Tickets: $150 (General Ticket); $300 (Early Entry VIP Ticket that includes the 5 pm cocktail with special appetizers, prepared by Chef John Howie, exclusive wines and an opportunity to mingle with special Seahawks Guests and Legends).